Diminishing the appearance of a fence in an image is a challenging research area due to the characteristics of fences (thinness, lack of texture, etc.) and the need for occluded background restoration. 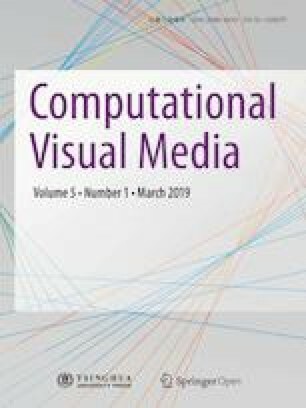 In this paper, we describe a fence removal method for an image sequence captured by a user making a sweep motion, in which occluded background is potentially observed. To make use of geometric and appearance information such as consecutive images, we use two well-known approaches: structure from motion and light field rendering. Results using real image sequences show that our method can stably segment fences and preserve background details for various fence and background combinations. A new video without the fence, with frame coherence, can be successfully provided. Chanya Lueangwattana received her B.E. degree in electronics and communication engineering from Thammasat University, Thailand, in 2015. Since 2016, she was a master student in the Graduate School of Science and Technology at Keio University, from which she received her M.S. degree in 2018. Her research interests include image processing, computer vision, and diminished reality. Shohei Mori received his B.S., M.S., and Ph.D. degrees in engineering from Ritsumeikan University, Japan, in 2011, 2013, and 2016, respectively. He was a research fellowship for Young Scientists DC-1 and PD from the Japan Society for the Promotion of Science until 2016 and 2018 respectively. He is currently a university project assistant at Graz University of Technology, Austria. His research interests include diminished reality and related computer vision technology. Hideo Saito received his Ph.D. degree in electrical engineering from Keio University, Japan, in 1992. Since then, he has been on the Faculty of Science and Technology, Keio University. From 1997 to 1999, he joined the Virtualized Reality Project in the Robotics Institute, Carnegie Mellon University as a visiting researcher. Since 2006, he has been a full professor in the Department of Information and Computer Science, Keio University. His recent activities for academic conferences include being Program Chair of ACCV2014, a General Chair of ISMAR2015, and a Program Chair of ISMAR2016. His research interests include computer vision and pattern recognition, and their applications to augmented reality, virtual reality, and human-robotics interaction. Supplementary material is available in the online version of this article https://doi.org/10.1007/s41095-018-0126-8. This work was supported in part by Grant-in-Aid from the Japan Society for the Promotion of Science, following Grant No. 16J05114. Supplementary material, approximately 13.3 MB. Open Access The articles published in this journal are distributed under the terms of the Creative Commons Attribution 4.0 International License (https://doi.org/creativecommons.org/licenses/by/4.0/), which permits unrestricted use, distribution, and reproduction in any medium, provided you give appropriate credit to the original author(s) and the source, provide a link to the Creative Commons license, and indicate if changes were made.